Here's what I learned from making the switch to aluminum-free odor protection. Shortly before dismissal in the seventh grade, a then classmate of mine, Jonathan, teased me that I smelled. We had just finished gym class and I always took athletics seriously so it&apos;s plausible, although in hindsight I think he was just trying to get my attention. To make matters worse, a popular eighth-grade girl, Stacy, popped her head into our apparently odoriferous classroom to inquire about the commotion. Hilarity ensued and I ran to the bathroom in tears. While I joke about the "Jill smells" incident, it&apos;s not funny how concerned I became about odor protection. I&apos;m active, a stress sweater, and generally warm blooded. In the past 25 years, I would say I have tried almost every type of antiperspirant/deodorant and even considered Botox under my arms. What I didn&apos;t know was that most antiperspirants contain aluminum. The aluminum prevents toxins from being expelled by the body. As a result, the toxins clog up lymph nodes around the armpits and breasts. Recent studies suggest a link between aluminum-based antiperspirants and breast cancer. The turning point for me was when I became pregnant with my first son. I was much more conscious of what I was putting in and on my body. While I didn&apos;t completely make the switch to natural deodorant at the time, I started reading, thinking, and considering more natural and eco-friendly products. 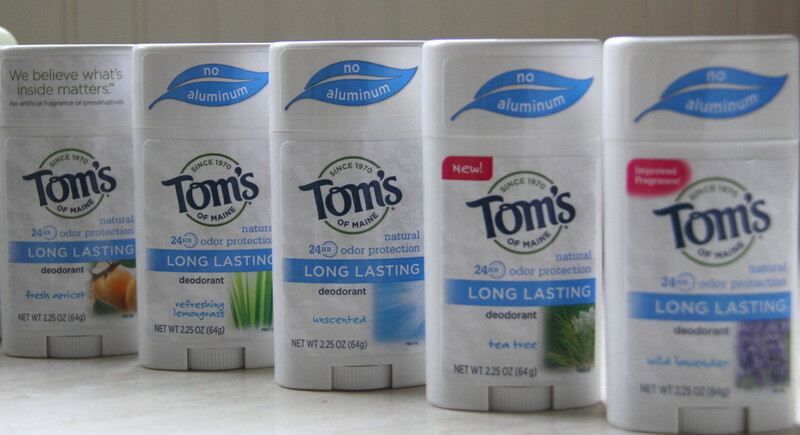 I honestly can&apos;t remember what spurred me to make the final push, but last winter I stopped using conventional antiperspirant and switched to aluminum-free. There&apos;s a lot of trial and error in finding a natural deodorant you&apos;re comfortable with. Deodorant is relatively inexpensive, so don&apos;t be afraid to try different brands and scents and toss what isn&apos;t working. If you like trying new products, it&apos;s actually really fun. Read reviews but realize what works for others may not work for you and don&apos;t get discouraged. It takes time to adjust. Once I got over the hump, I never looked back. Some days I&apos;m more stressed than other and I will notice I am sweating more. Perspiration is the body&apos;s way of regulating itself. It&apos;s a good thing! Odor comes from bacteria on the skin. Keeping underarms clean and deodorized minimizes smell. I spent a month asking friends and family if I smell and they thought I was crazy. Generally, I do not! After a good SoulCycle class, I&apos;m not so sure. My health is more important than the fears of a 12-year old. I can tell you right now I will never go back to conventional antiperspirant. I don&apos;t care if I do smell. My health and my children are my priority. No artificial colors, flavors, fragrance or preservative. Tom&apos;s shares every ingredient, it&apos;s purpose and source at tomsofmaine.com. Sustainable practices are a priority in every aspect of Tom&apos;s business. Tom&apos;s strives to maximize recycled content and recyclability of its packaging. Have you tried incorporating natural products into your beauty or skin care routine? WIN IT! 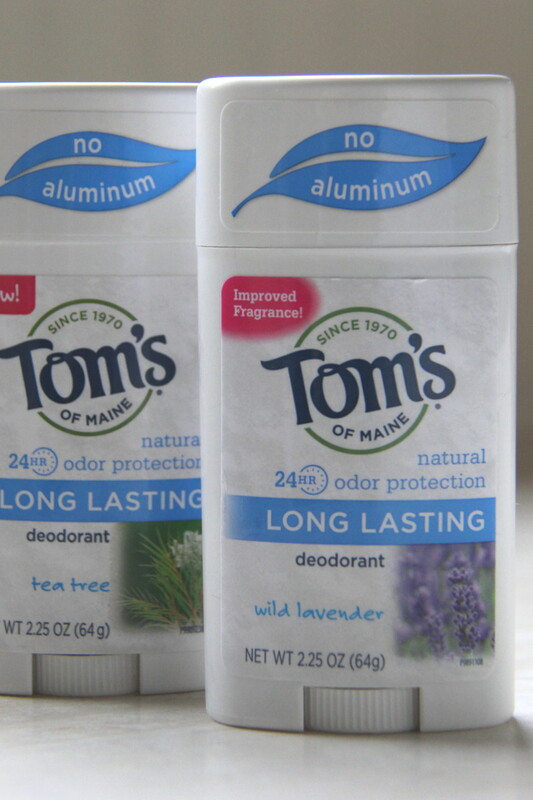 We have an assortment of 3 Tom&apos;s of Maine Long Lasting Natural Deodorants. To enter, fill out the Rafflecopter Entry Form below. We&apos;ll choose a winner Monday, November 28th. Good luck!